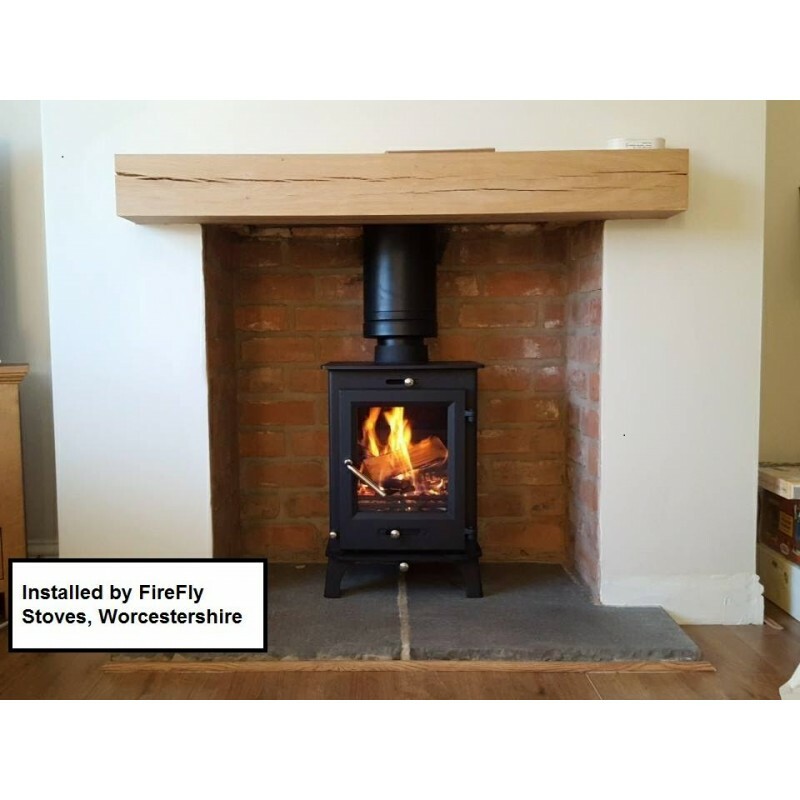 This Ecosy+ brand is designed and built by Stove World and is available only from us and a few carefully-selected stockists and installers. The Ottawa is an industry respected stove that has an advanced secondary burn system that has helped it pass the tough Defra requirements. This wood burning / multi-fuel stove is wonderfully hand constructed and blends traditional styling with modern efficiency. 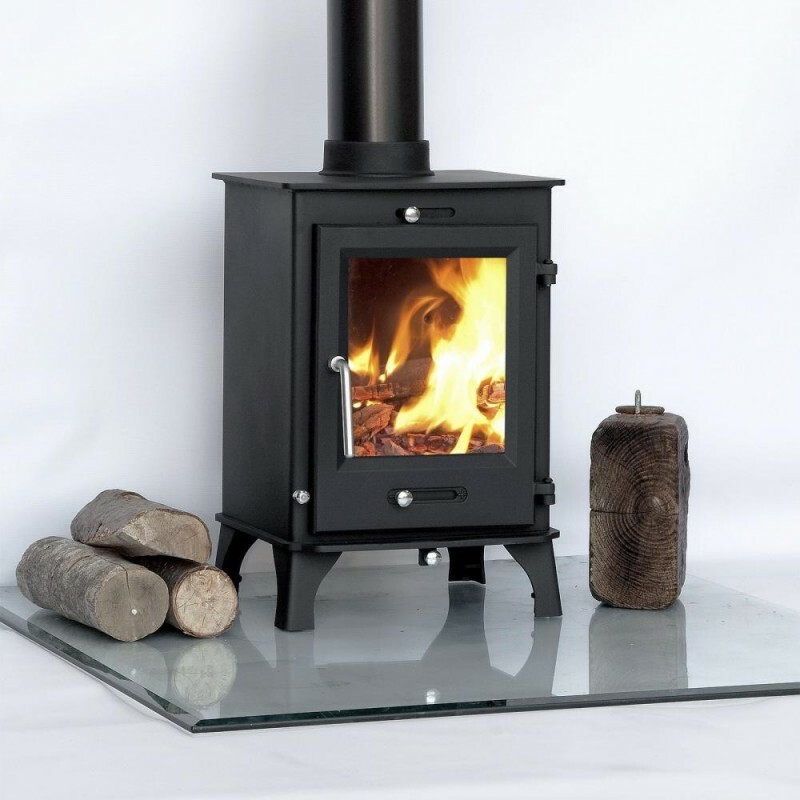 The Ottawa is a hybrid stove with a thick steel body and virgin cast door. Designed to stand the test of time, its clean lines make it suitable for a wide range of decor, styles and tastes. 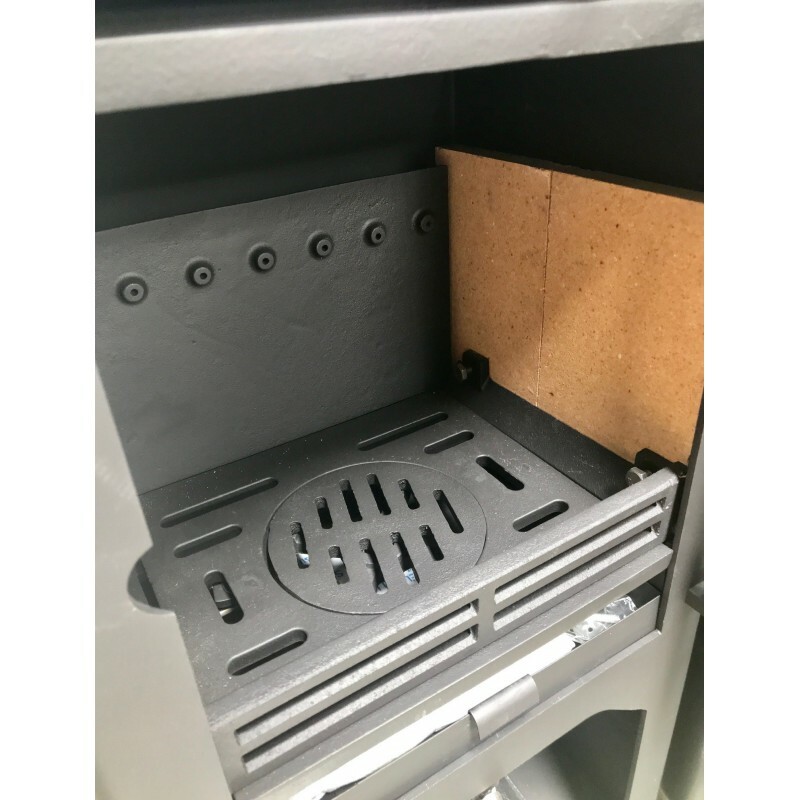 The stove is a multi-fuel model that will deliver a reliable source of heat with an accurate degree of control whether you are burning dry seasoned wood or smokeless coal. This particular unit has been put through rigorous CE and smoke control tests here in the UK at Kiwa Gastec. 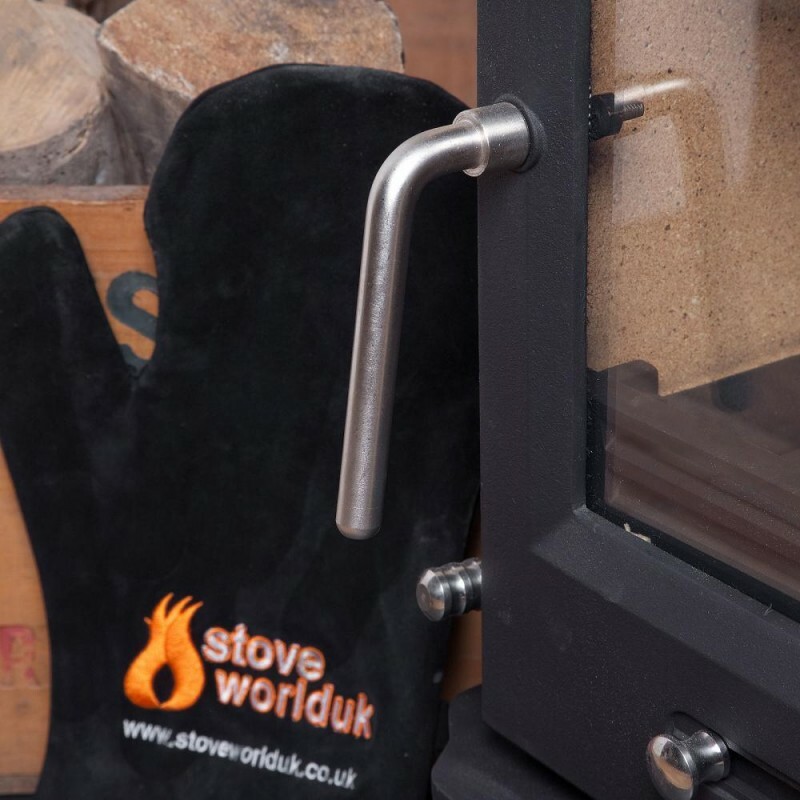 We are proud to say the stove has passed with flying colours and, due to the stoves new secondary air system, it is running at over 80% efficient - a figure higher than most stoves sold in the UK. This will save the user a lot of money over the years. To top it off the stove has also passed a tough DIN+ particle test further proving it is a clean burning unit built for the demands of modern wood burning. This version of the Ottawa 5 has been approved to burn wood and smokeless coal in a smoke controlled zone. 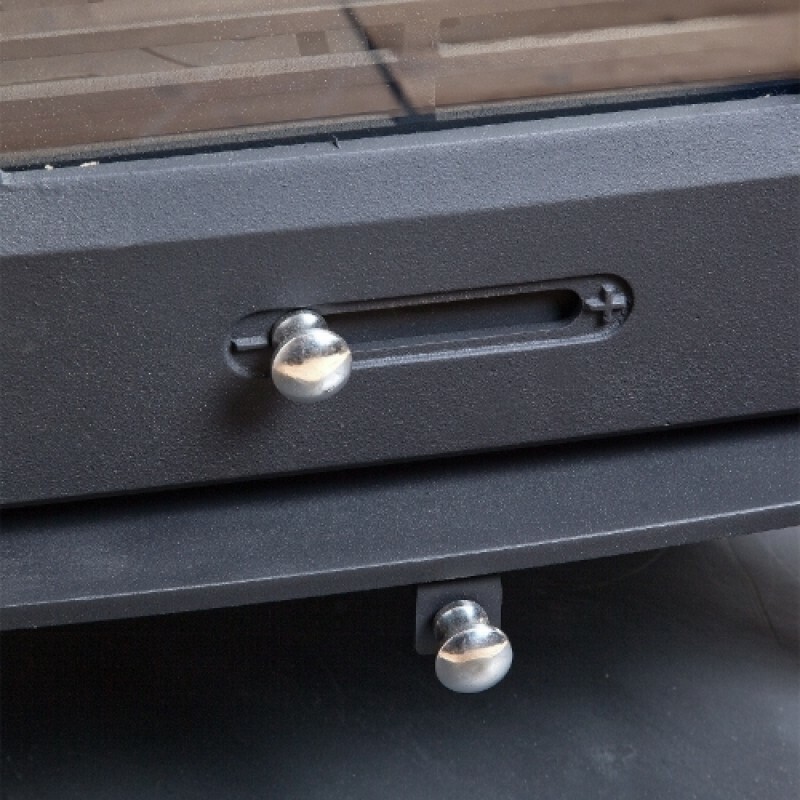 It has been fitted with a mechanical stop to prevent secondary air closure beyond the 31mm open position. A 5" flue liner can be fitted onto this stove. Also available at a lower cost: the non-Defra version of the Ottawa 5kw. As mentioned above, the Ottawa 5 has an advanced clean burn system. This system works by drawing in air from the stoves base and filtering it over the fire bed. The addition of extra air over the fire is a proven way of burning off the initial smoke produced by the fire before it is released up the chimney. This system is not only beneficial to the environment but it is beneficial to you too. This system increases the stoves efficiency and an increased efficiency means less fuel will be consumed by the fire, saving you time, effort and money. In addition to this, the stove has an up to date air wash system that filters air over the glass helping to keep this clean and clear. .
(This covers the stove's body and not the internal perishable parts like glass, grate and fire bricks.) Guarantee is activated when the stove is invoiced. 6 digit number on the top of each invoice is the warranty number.For stove to be covered it must be installed by a HETAS engineer. Secondary air system that re-burns the smoke for a clean and efficient burn. Height : 560mm, 22 inches. Depth : 330mm 13 inches. Distance from the back of stove to centre of top flue 125mm 5 inches. Distance from floor to centre of rear flue outlet 460mm - 18 inches. People often ask us how are prices are so cheap, and we understand why. Through Ecosy+ stoves we design and make a large amount of our products and they come direct from our factory to us, completely cutting out the middleman. We can stock over 3000 wood burning stoves at any one time and ship direct to the customer opposed to seeling to a third party who will add an additinal 40% to 50% margin. We suggest buyers thinking of purchasing an Ottawa 5kw take a look at our glowing feedback on our website, Trustpilot, google and a number of social mdeia platforms. 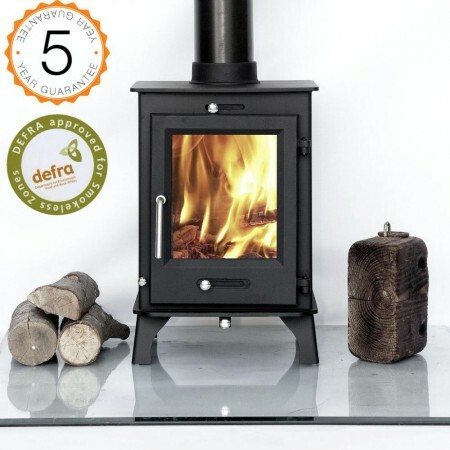 Please note that this is the price for delivery of DEFRA APPROVED 80% efficient, Ottawa 5kw Woodburning Stoves Multi Fuel. 5 YEAR GUARANTEE only. The final amount might change depending on the contents of your shopping bag when you check out.